While the main event this weekend was the latest OPEC+ meeting which saw member states of the oil cartel and their allies scramble to promise that oil production will be cut if oil prices continue to drop due to excess supply now that Iran's oil exports may rebound thanks to waivers granted to its main trading partners by the Trump administration, a just as important event to take place was the news of record oil production levels in North America. 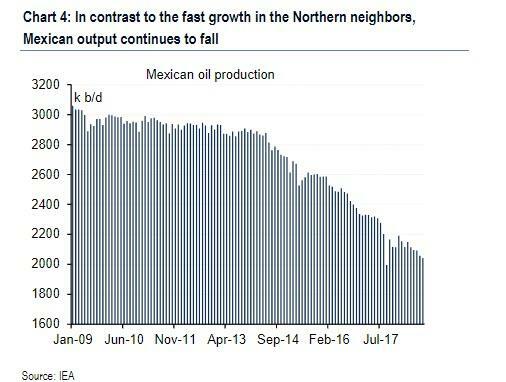 And, as BofA calculates, "whether measured in in BTU/oil barrels equivalent or in US dollars, we estimate that the reversal in energy balances from a deficit into a surplus happened in October 2018." 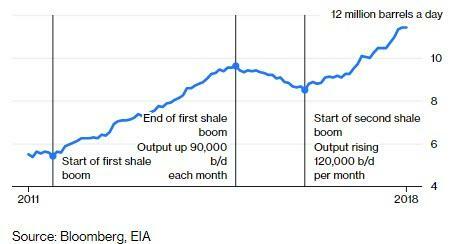 Consider that in just 10 years, America flipped from being a huge energy importer to becoming the largest exporter of petroleum products in the world (Chart 13). On average, US petroleum product exports averaged 5.1 mn b/d in the past quarter mostly on a combination of gasoline, diesel and residual fuel. 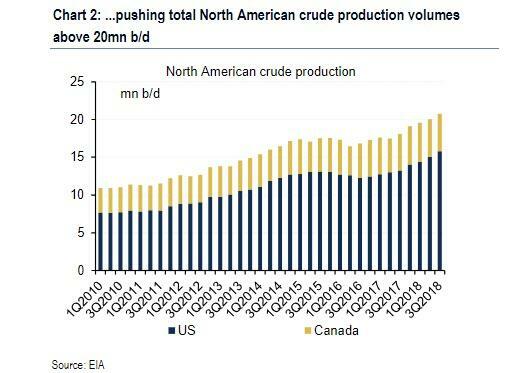 In addition, the US is on track to become the largest NGL exporter too (Chart 14). Currently, America runs the world's largest NGL exports, followed by Saudi and Qatar, thanks to surging ethane, propane and butane export volumes. It's not just crude: LNG exports are also finally picking up steam as trains come on line (Chart 16). Total export levels now average 2.95 bcf/d or 0.45 mn b/d of oil equivalent and are poised to keep growing over the next 18 months. 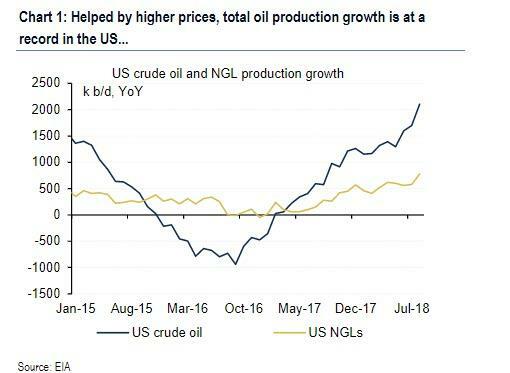 The flipside: whereas the booming US energy sector is now contributing billions to the US trade surplus - even as the overall US trade deficit soars - any additional alienation of OPEC could result in another 2014-type fallout, in which the OPEC cartel effectively dissolves itself and it becomes every oil exporter for themselves as they once again scramble to recapture market share lost to US shale. 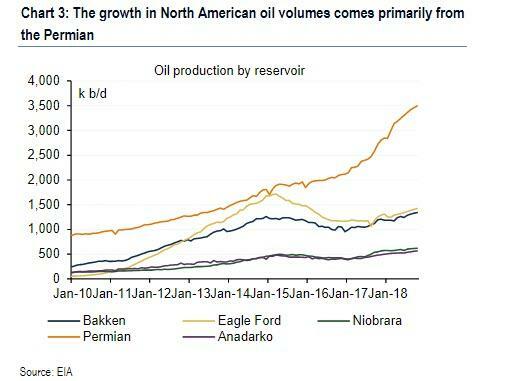 As a result of such an outcome, oil prices could crater as low as $20 once again, crippling shale producers, but also resulting in another emerging markets/petrodollar crisis.